Bring typewriter – and a camp chair. With the type-out/in Only a few days away I’ve got a couple of things on my mind. Firstly, the weather. Like last year there’s a cyclone brewing off the coast, but at least this time there’s no expectation that it may come anywhere near Brisbane. Secondly, what to bring? I keep looking at my collection of typewriters that are currently filling the lounge room floor and thinking about which ones will come with me this time. I’ll probably do a run to grab something for lunch from somewhere on the day. But if you feel inclined to bring some food and liquids, be my guest. Oh! I better get the esky out of the garage. Natalie from Darwin is a confirmed show, as is Steve K from Perth, and Steve S from Brisbane. There’s Rob from Canberra, and John from Beaudesert. I even believe that Rino is still likely to swing by. Add to that a handful of others that have suggested they’re coming, and I think it could very well be a fun day’s typing. Certainly we’ll have almost all of the Australian Typosphere here in one spot. I just wish Teeritz and Jasper could have been able come along, then we’d pretty much have the whole set. Maybe for next year’s event? John has hinted that he may bring a bag of tools with him to the type-in. So if anyone has a machine with a niggling issue, well… here’s one of the most experienced techs I know offering to give some assistance. I’m also thinking of grabbing some Mexican to eat at my favourite joint in ‘The Valley’ on Saturday night, in case anyone is looking to have a bit of a pre event catch up. Might even stuff a couple of traveller typewriters into the car and see who wants to bash out some prose with me over a burrito. So with that all set, I’ve got something great to look forward to this weekend. I just need to survive the work week first! See you all soon. And as always, email me at typeinbrisbane@icloud.com if you have any questions, or want my phone number. 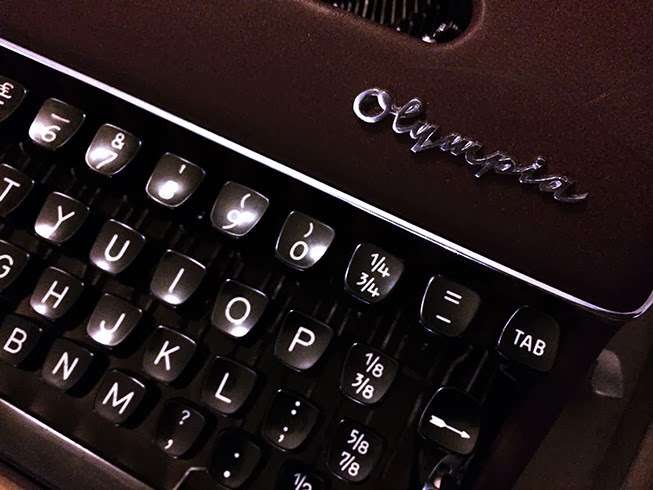 March 5, 2014 in brisbane, in, love, out, type, typewriters. ← Identified: Nick Cave’s typewriter. Sadly, the government here in Queensland has decided to change the date of Labour day till later in the year, so unfortunately it isn't a holiday this Monday here. you bet your burritos I'm coming along! With all that Southern Hemisphere typospheric livestock converging in one place, I hope there is a contingency plan in case the typewriter counter-insurgency police raid the event. Have a great day. Take photos! Stuck away here in damp and lonely northern California, I'm greatly looking forward to reportage from the upcoming event under the bridge in Brisbane. One thing that's great about photos from type-ins is the chance of a glimpse of some of the folks we've been corresponding with. So herewith I suggest individual portraits of attendees, perhaps with a typer of their choice. Please click with your cameras as well as tap with the typewriters! We have fire-extinguishers. That should keep them at bay. Alright mr Snow, I'll give you a call! Will be good to see you Rob! Individual portraits hey? let's see how we go.